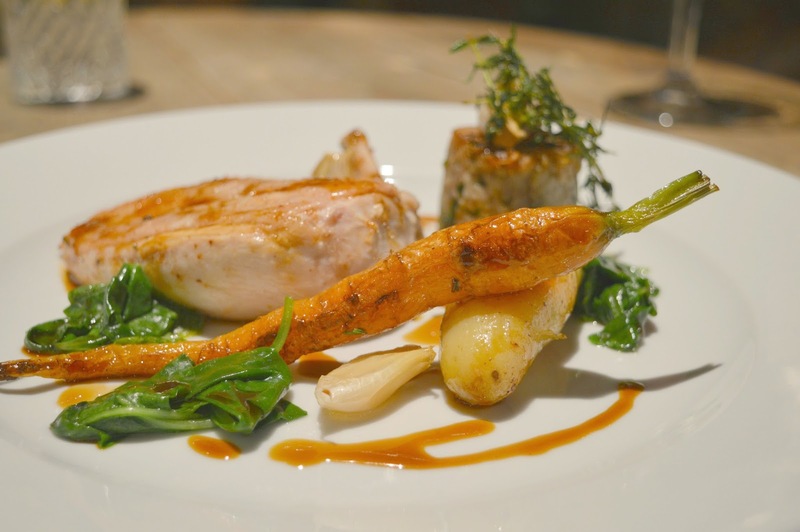 Last week saw the return of Restaurant Week in Newcastle. Those of you who have been here for a while will have heard me talk about Restaurant Week before (twice a year in fact) but if you're new, let me explain. Every January and August most of the restaurants in Newcastle partake in Restaurant Week, a weeklong celebration that sees special offer menus across the Toon. It's an ideal chance to try somewhere new and is a week of date nights and catch ups with friends. I always struggle choosing where to book for Restaurant Week. 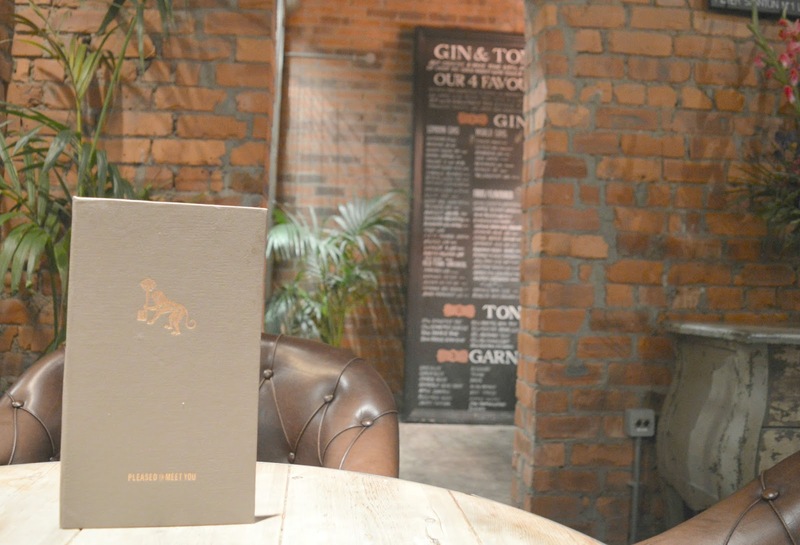 With so many of my favourites taking part I tend to peruse each menu carefully before booking tables. This year I was excited to see that Pleased to Meet You were offering a bit of a free for all, with their entire menu to choose from in a 2 courses for £10 or 3 courses for £15 deal. I was a little disappointed when we arrived on the day to find that was no longer the case and there was a set menu to choose from. This is what happens when you're an eager beaver – things change. 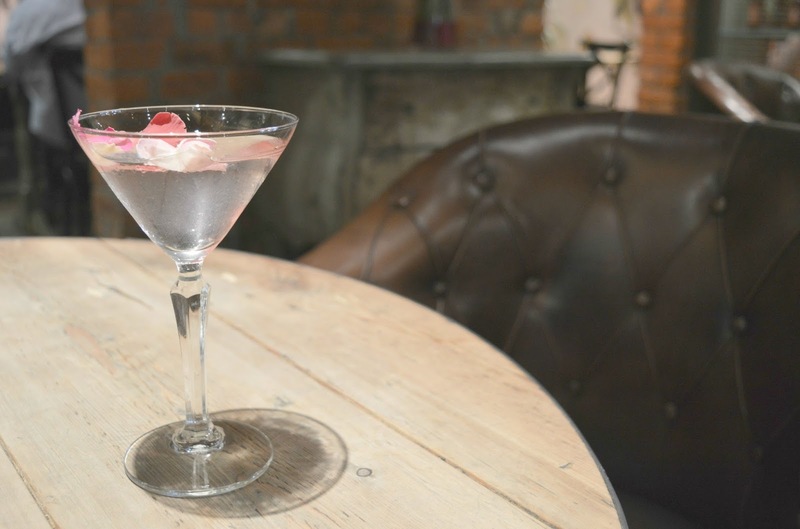 After a teeny bit of sulking (I'd been looking forward to trying the Cherry Bakewell Tart for weeks) we settled down with some drinks for a good look at the special menu that had been exclusively designed by the chefs just for Restaurant Week. Pleased to Meet You is best known as a gin bar. Home to the "create your own" G&Ts it would have been a crime for one of us not to have a play and as it was Simon's first visit to the bar he decided to order himself a G&T. The lists of gins, tonics and garnishes can be a little overwhelming at first. There are pages and pages of choices. So I pointed him towards my favourite page, the fruit and flavoured gins and he was away. 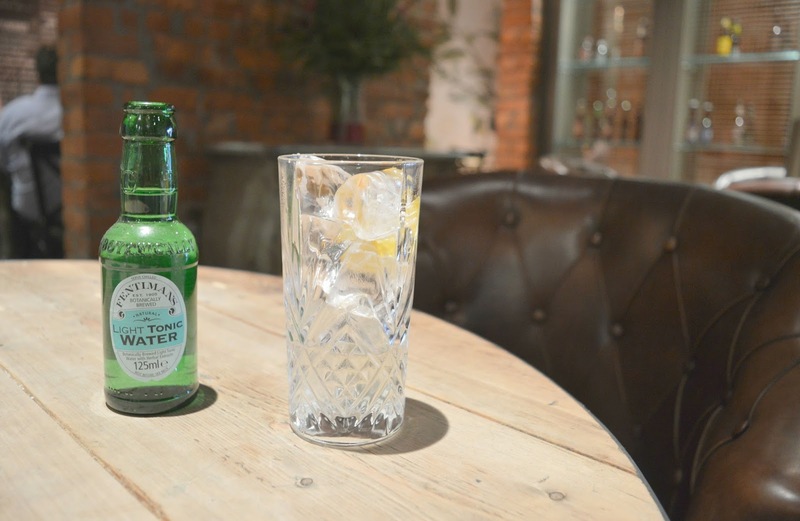 He ordered the Williams Chase Seville Orange Gin with a slim tonic and an orange garnish. Meanwhile I decided to take advantage of the two cocktails for £10 deal and ordered a Flowerbed Martini (Vodka, White Crème de Cacao and Rose Syrup with a spray of Orange Blossom flower water) which tasted just like eating Turkish Delight on a Summer's afternoon. This was swiftly followed with the refreshing Joan Collins. 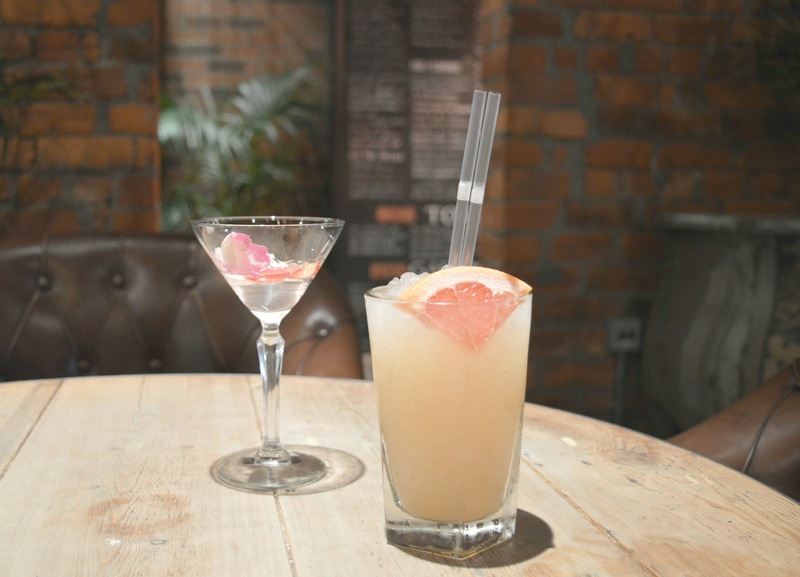 Hoxton Pink Grapefruit and Coconut Gin, Crème de Peche, peach puree, pink grapefruit juice and peach bitters mixed with a dash of soda. Drink in hand, it was time to turn our attention to the food menu. With a choice of three dishes for each course, Simon and I opted for two courses for £10 and, obviously, decided to order mains and desserts. Being a lover of food photography I am pretty guilty of ordering dishes that I think will look great in a photograph, and I almost never order the same as Simon. This time, however, I couldn't resist ordering the same, we both loved the sound of the Roasted and Slow Cooked Chicken with pink fir potato, garlic, spinach and thyme. Our dishes turned up and they were beautifully presented and tasted just as delicious as they looked. The chicken was really juicy and I loved eating it with the generous chunks of garlic. Our main courses left us feeling comfortable with room for more so we were excited to get our desserts. 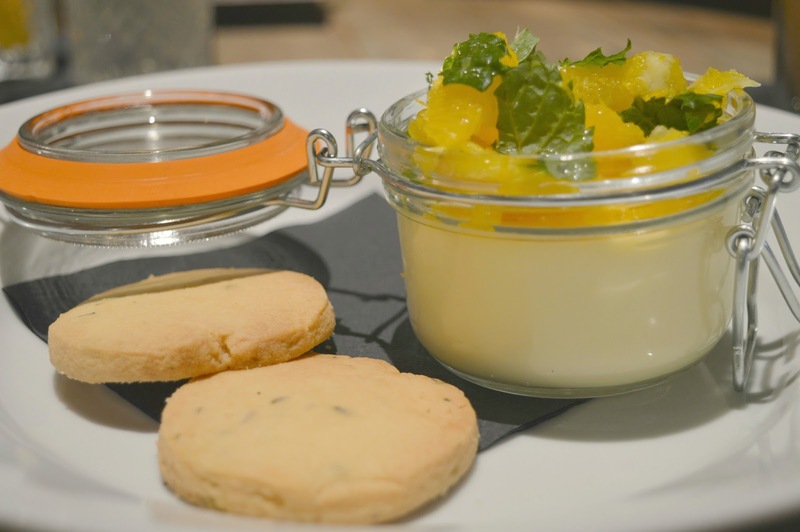 I ordered the Orange and Cardamom Posset with rosemary shortbread. It was beautifully fresh and creamy and I loved the addition of the mint leaf garnish. It reminded me of Summer days of my childhood when I used to collect mint leaves from the garden to add to glasses of lemonade – delicious! 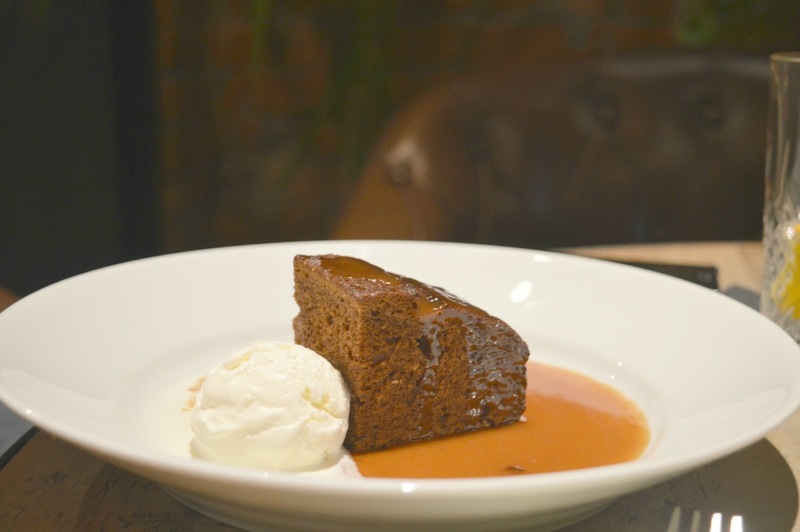 Simon was delighted to see one of his favourites on the menu, Sticky Toffee Pudding served with salt butter caramel and vanilla ice-cream. I managed to get a couple of bites off him and it was absolute heaven. We loved our food so much we asked to take a look at the full menu for future reference and as we tucked into our last spoonfuls we happily planned what we'd be ordering on our return visit. With an extension to the restaurant happening imminently it definitely won't be long before we return! I just want the sticky toffee pudding...NOW!! The cocktails in particular look great. 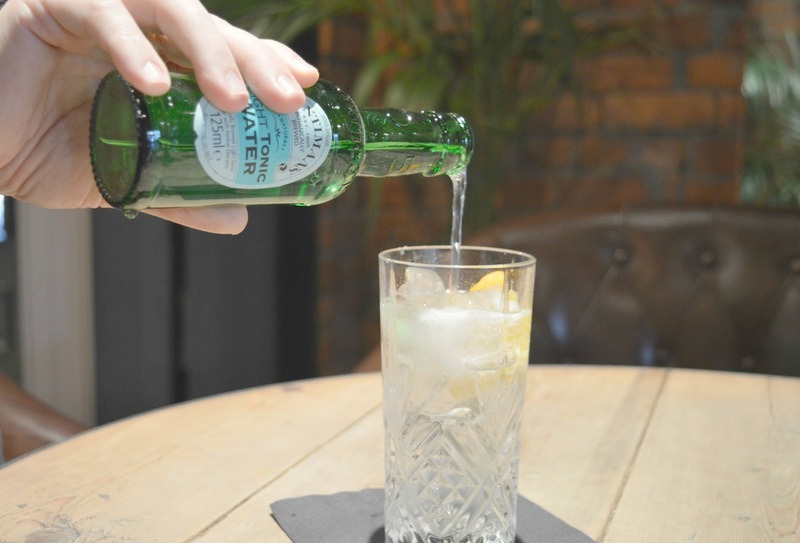 Love the idea of making your own G&T!